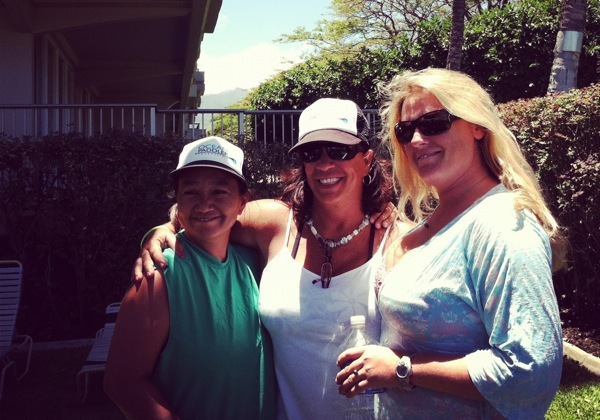 This weekend I attended the Waa Kiakahi 2012 event and I am glad I did! If you haven’t been to one, you should go next year. It’s a cultural experience – something the locals need to attend to and not just the tourists. 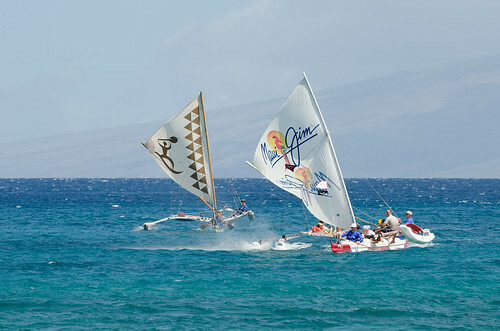 This year is Kaanapali Beach Resort Association’s 8th year of celebrating the Waa Kiakahi Canoe Festival and part sponsoring its race. Each year it gets more fun so come on out next year! 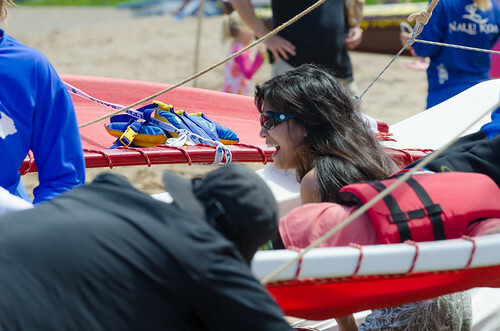 See me in the photo as I help push the canoe on the sand – all smiles ya? I got to sail on the canoe with @Yvonnebiegel and her boys. She even taught me a quick lesson on how to paddle. I also met the travel writer Abbie Mood and sailed with her also. 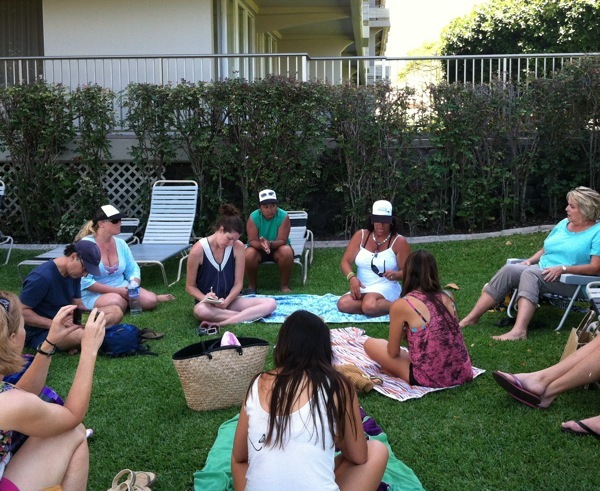 After the fun ride, we talked story with some of the ladies at the Hawaiian Sailing Canoe Association. We learned a lot from these ladies, Terry, Leimomi and Kiri, as they shared about their history, mission and their adventures. 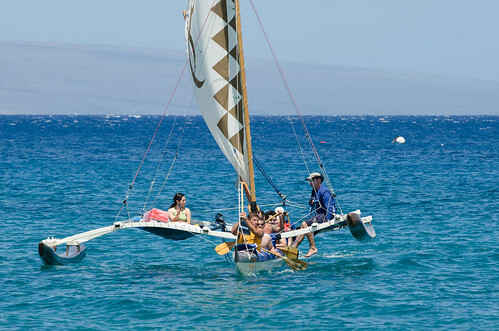 The mission of the HSCA is “to learn, revive, educate and practice those ancient Hawaiian skills and values as they relate to sailing canoes and the Hawaiian culture.” It’s really about serving the community and keeping the culture and tradition alive. It’s inspiring to hear about their adventures in the sea as well as their community services. They said it is also about empowering our young ones, teaching them responsibilities, in addition to bringing public awareness of the depth of the island culture. 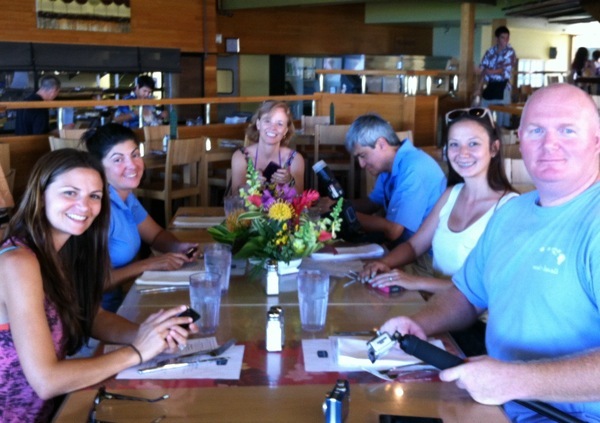 After the talk story, we went to eat lunch at Maui Fish and Pasta. Well, the yummy lunch deserve another post. A hui hou! * More photos at A Maui Blog Facebook Page and thanks Peter Liu Photography for the great shots all uploaded at Flickr. Oh, wow! 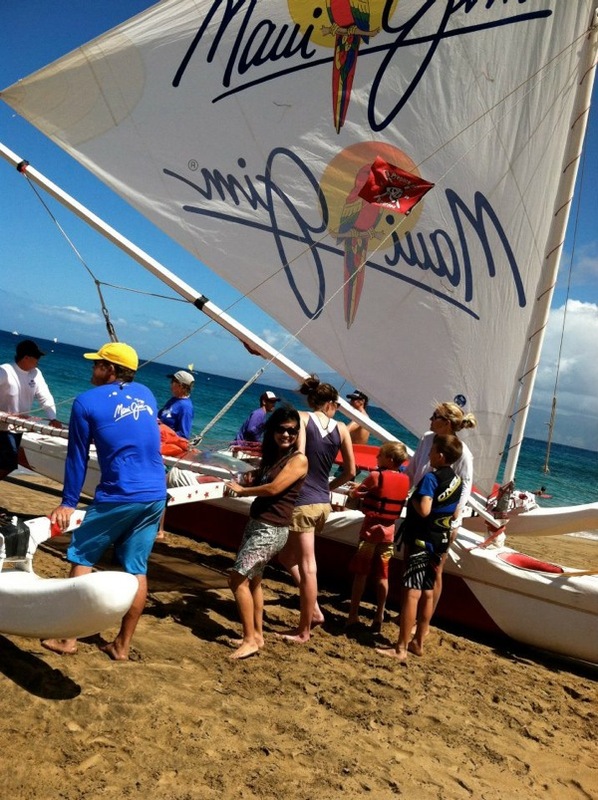 Sun, surf, sails and smiles. What more could one need on a day. Hawaii, land of a thousand pleasures, eh? Best regards from Ottawa,Canada. Land of the snow for 4 months, and summer for four others. Great photos and this event looked like so much fun and a great learning experience too. I wish I had gone. I love the photo of you laughing (your hair looks great with those waves in it). Thanks for sharing here and on instagram.